Everything We Create Smells Like the Earth is a rhapsodic primal scream for lovers of poetry today. Reading this volume of poems was similar to sitting down over a stiff drink with Allen Ginsburg and Lawrence Ferlinghetti and chit-chatting about the predicament of the world. 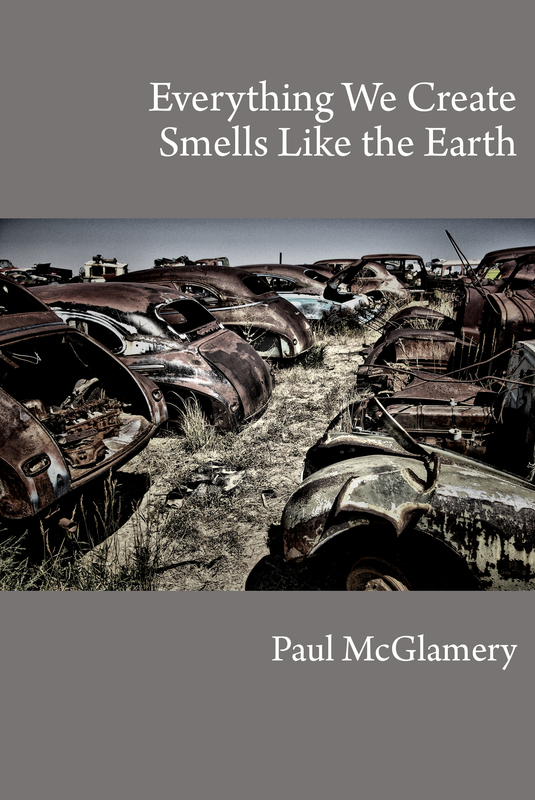 Paul McGlamery reminds us of our ever present relationship with Mother Earth and yet the nuances and mysteries of primitive life are still resonating in our modern lives. As it has been, so it will be. This book is a testament to the versatility and veracity of Paul’s work which is chocked full of images and word combos that will crystallize and gel like amber in your soul. –Dev Galey McCluskie, author of Spoon Songs. Everything We Create Smells Like Earth is a rare document of undiscovered phenomena, a magnificent expedition, and a travelogue of dirt-stained wisdom. I felt as if I were reading the journals of a frontier explorer. The topography was foreign to me. The visions were ancient and familiar. And the language: oh, the language was a most gracious spirit guide. Reading these poems is like discovering something that has been hidden for millennia, and is only just now being revealed. –Eve Brackenbury, co-author of A Companion of Lesser Brillance, co-author of The Lennox Garden: Pressed Between Pages, and Shadowed Grounds. For a closer look at Everything We Create Smells Like the Earth, visit our Behind the Titles review here.